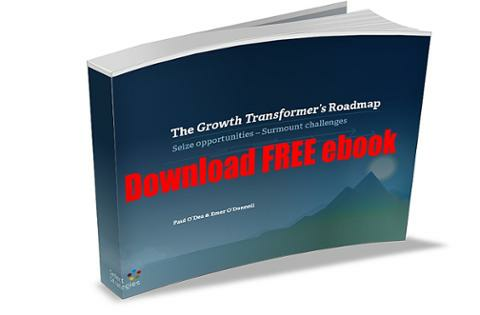 Business Growth Transformer™ is a five-step proven process that transforms business growth. It unlocks growth potential, identifies new opportunities and typically delivers between 20% and 50% sustained revenue growth. For more information on how our Business Growth Transformer process can help your business, email eodonnell@selectstrategies.com. The Growth Transformer's Roadmap outlines the five steps for companies striving to transform their business. This ebook will help you determine WHAT needs to be done and HOW growth transformation can be achieved in your business.